There are experts who say raw cruciferous vegetables can lead to medical trouble for some people. If you’re one of such people, do take precautions. For the rest of us, a good rule to abide by is: don’t eat anything in “large quantities.” But today my issue is not with cruciferous vegetables. I suggest we look at this matter from an entirely different angle. Consider this line from the letter: Imagine my shock at my last physical, when my doctor told me I had hypothyroidism, common in women over 40. Once, doctors largely treated symptoms of existing medical problems. Now, in the spirit of preventive medicine, they’re treating people who may develop problems in the future. Good motive, but not always with favorable results. Visit a doctor’s office nowadays, and they’ll be chasing numbers, via medical tests. The blood sugar number defines diabetes. A number for cholesterol defines hyperlipidemia. And osteoporosis is defined by a number—the ‘T score’—for bone density. Each number range has cutoffs, established by boards of physicians. They will have the final say on who has developed diabetes, and who hasn’t. Skilled and knowledgeable as they might be, the expert members of these panels bring biases with them—mostly of an intellectual nature, though sometimes members are influenced by monetary incentives, courtesy of Big Pharma. In recent decades, many target levels and cutoff points have been modified by such panels, sharply increasing the numbers of people classified as having a particular condition. Once upon a time, if you had a fasting blood sugar over 140, only then were you diabetic, but since a 1997 rules change, the threshold has become 126. This rule change created an instant 1.6 million more patients. In 1998, the “normal” cholesterol mark of 228 was lowered to 184. Virtually overnight, it produced 42 million new high-cholesterol patients, since 200 is about average for the lion’s share of the U.S. population. Blood pressure of 160 (systolic) to 100 (diastolic) used to be normal. But the year 1991 saw a lowering to 140 / 90. You guessed it: 13 million more patients. Similarly, some 6.7 million women became osteoporosis patients overnight when standards for T-scores were altered. What about those CT scans so popular now? One study of over 1,000 symptom-free people that underwent total-body CT screens found 86% had at least one detected abnormality. Practical implication: If you’re 40, 50, or older, and go in for a CT scan, chances are they’ll find something abnormal. 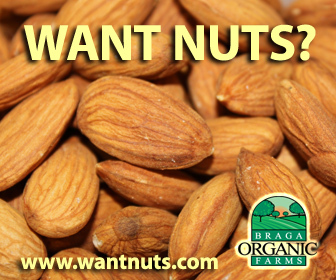 Of course, we can say that it’s better to be ahead of the disease and prevent serious complications later. But there is another side to this issue as well. The main point of the book, Overdiagnosed: Making People Sick in the Pursuit of Health, is to challenge the current conventional wisdom that more diagnosis, especially early on, means better medical care. Author Dr. Gilbert Welch paints an entirely different picture. More diagnosis, he says, leads to excessive treatment that can actually harm patients, creating real health issues as a side effect of medications. Such over-treatment makes healthy people feel less so, causes depression, and greatly increases medical costs. What drives this over-diagnosis? At the most basic level, it’s driven by doctors’ interest in making diagnoses. Once, people never took medications without symptoms. Now it’s the norm—by their 50’s, many swallow handfuls of pills on a daily basis “just in case” and “just to be sure.” Some can be helped with early diagnosis. But many more can be hurt. So what to do? It’s up to you! Let me add this: If you are eating a lot of raw whole foods, you are an entirely different specimen. 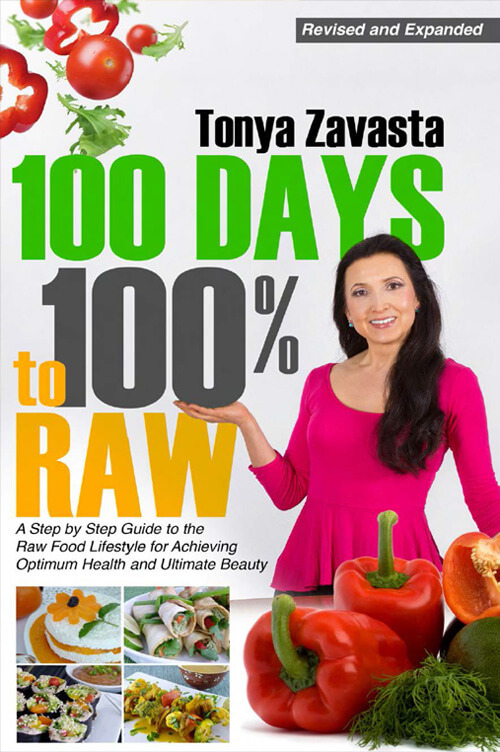 There’s hardly been any research on people who’ve eaten high raw, or mostly raw diet. (Why? Because we’re still relatively rare. It’s hard to get a stadium’s worth—gosh, even a big room’s worth—of us in one place to do double-blind tests on.) 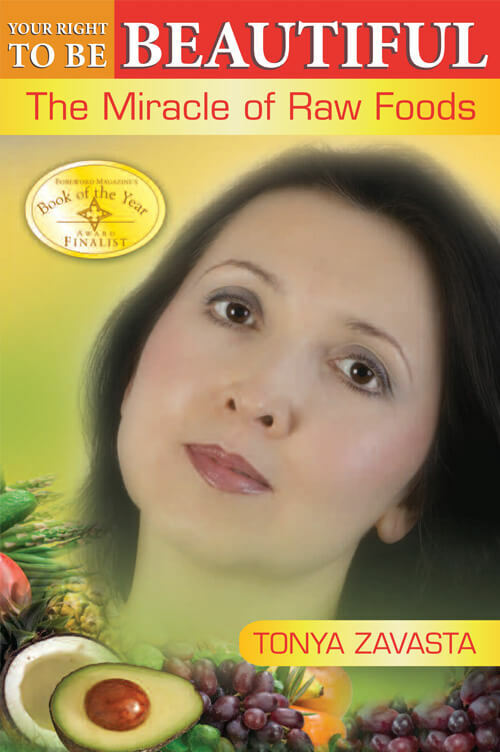 Doctors have no tests to fall back on in determining what’s “normal” for a raw food person. I’m not a doctor. And my knowledge of hypothyroidism is limited. From what I've learned, it’s a serious condition with nasty symptoms. But from our friend’s letter we read she was “shocked,” meaning she had no symptoms and she was diagnosed with what is “common” for women over 40. In light of what we know about overdiagnosis, and in light of the fact—and it is a fact—that we raw foodists aren’t “normal,” statistically, I offer one possible consolation to our friend: You, too, might just not be normal. If you eat a lot of raw foods you present a real challenge to the medical community, and are more likely to find yourself among the over-diagnozed. 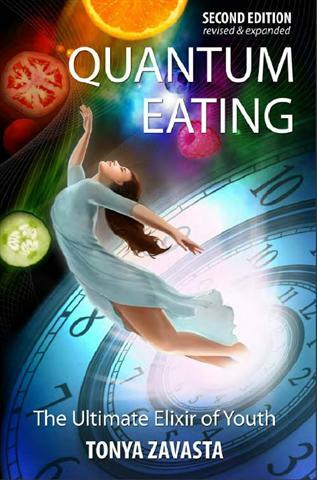 To learn more about how your test results might be over the doctor’s “normal” charts check out my book, Quantum Eating.